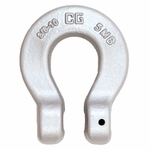 These couplers are made for use with Grade 80 or Grade 100 chain. 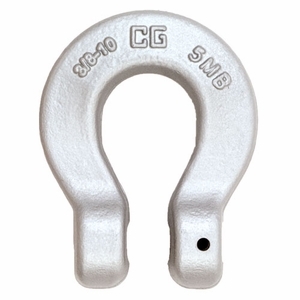 They attach to chain fittings--primarily master links--with an "Engineered Flat". They assemble and disassemble with no special tools required. Made from alloy steel, Quenched and Tempered. Individually proof-tested at 2-1/2 times the Working Load Limit with certification. Safety factor of 4:1.